Fable Of Ferno is a 3D Platformer, throughout the game you will encounter a story, challenges, crystals to collect, boss' to fight, and more! Im looking to release the game on Xbox and PC(Switch, Mobile, & Mac if possible.) 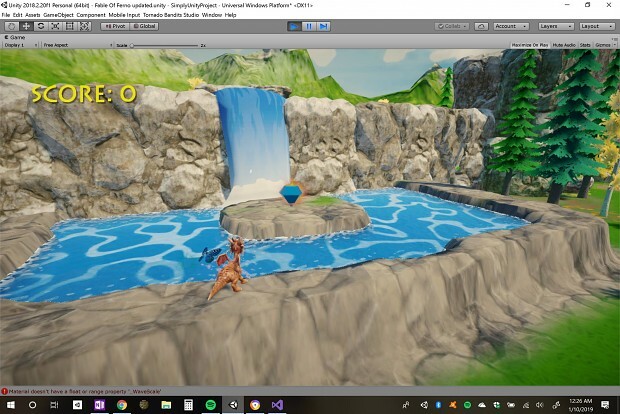 Fable Of Ferno is being developed with Unity 3D for UWP (with possible ports to Switch, Web, and Mac), on launch there will be friends to make, enemies to defeat, collectables to discover, mini games to play, bosses to destroy, many different home worlds to explore, lots of puzzling platforms to mess up on, and more! If you are interested you can support the project by following and sharing my social media links, or donating on Patreon or Paypal.